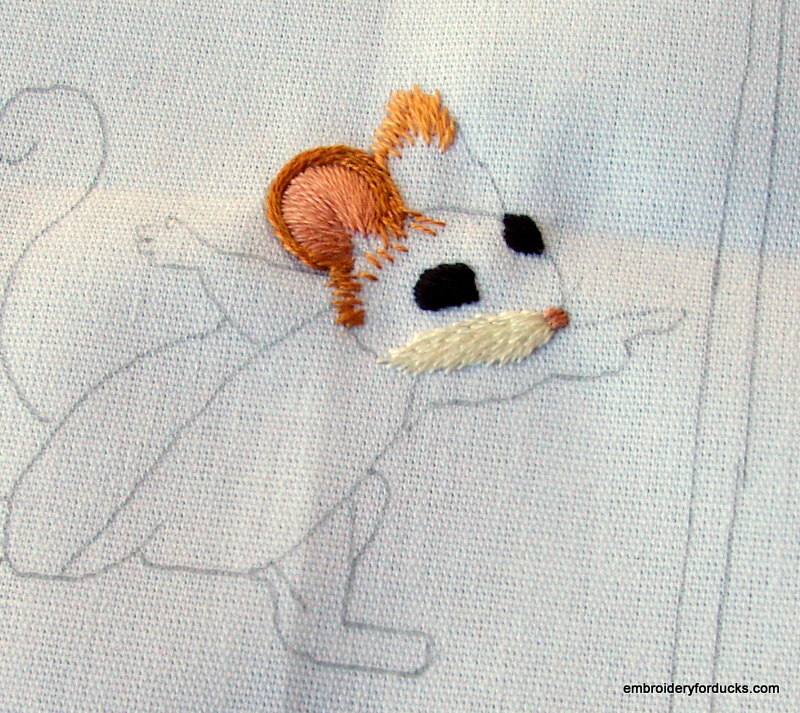 A while ago I worked the April Mouse kit (see the finished result) from Woodland Threads as a present for my cousin’s new baby. There’s another one on the way, so it is time for mouse number two! This one is the May Mouse, and it is dancing around a maypole. Ain’t it cute! This entry was posted in My work, Surface embroidery and tagged embroidery, mouse, woodland threads. Bookmark the permalink. Hey there! Glad you like it. It’s an engaging little fellow, that’s for sure!